The Zeonic Geofront: New Code Geass Anime CONFIRMED! 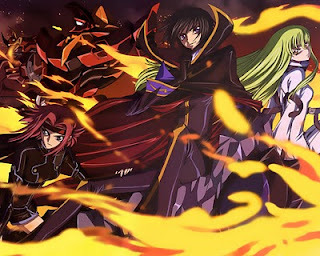 It has been confirmed that Code Geass is getting a brand new anime. Not a manga or video game or any other side project, but a full blown anime. I really hope it continues after the second season. Maybe not a direct sequel picking up where the second season ended because they wrapped things up pretty good. What I really mean to say is, PLEASE no prequels. I love CC and I know she has a long life but I really don't want to see a story about her 200 years ago. Lets move forward and not backwards. The announcement says is that there is a new anime in the works. I think I would rather have a movie, but that is just me. I'll take whatever new Code Geass goodness they are going to throw at me.